Millie Bown Russell was born in Seattle in 1926 to Augustus and Edith Bown, a Pullman Porter and beautician, respectively. Augustus and Edith Bown met in Chicago, married and relocated to Seattle where Millie was born, one of seven children. Both parents were local political activists, especially after Augustus became a member of the Longshoremen’s Union. Paul Robeson and Marian Anderson were among the visitors to the Bown home. After attending Catholic schools in Seattle, Millie Bown became the first African American student in the Medical Technology program at Seattle University. She graduated with a B.S. degree in Biology in 1948. Soon afterwards she married Ed Russell. The couple had four children. Millie Bown Russell worked for 26 years with the King County Central Blood Bank and its successor, the Puget Sound Regional Blood Center. During the late 1960s she returned to Seattle University as a student and received a secondary science-teaching certificate in 1971. In 1978 she received an M.S. in kinesiology from the University of Washington (UW). Ten years later, at the age of 62, Russell received a Ph.D. in Education from the UW. In 1974 Russell began working at the University of Washington as the Director of the Preprofessional Program for Minority Students in Health Sciences. Later she became Assistant to the Vice President, Office of Minority Affairs. Russell’s career at the University of Washington encompassed more than three decades. During that time she became a mentor, adviser, role model, and teacher to hundreds of students. Dr. Russell’s international work on behalf of health care and education is reflected in the establishment of the Seattle-Mombasa (Kenya) Sister City Association which since 1981 has provided a number of opportunities to explore African life and culture. The Association’s activities have included sponsorship of African art exhibits, hosting Crossroads African Health Professionals, donating emergency aid to Mombasa as well as sending books and school supplies. Dr. Russell also founded the Early Scholars Outreach Program, designed to prepare underrepresented middle-school students and their families for higher education. The Early Scholars Outreach Program was the inspiration for the national GEAR UP program that now serves thousands of pre-college students across the state of Washington. In 2001, the City of Seattle named October 29 Dr. Millie Russell Day, honoring her lifetime of service in education. The proclamation and congratulatory letter were presented by Mayor Paul Schell and Washington Governor Gary Locke. Seattle Congressman Jim McDermott read the Extension of Remarks that he added to the United States Congressional Record for October. 29. Three years later Dr. Russell was honored with the University of Washington’s Outstanding Public Service Award in recognition of her extensive local, national, and international public service. 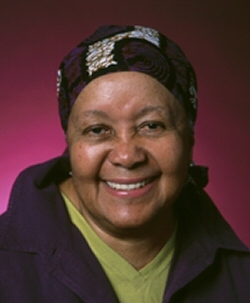 When she retired in June 2007, the University of Washington Office of Minority Affairs and Diversity established the Dr. Millie Russell Endowed Scholarship in honor of her lifelong devotion to education and equality. The Dr. Millie Russell Endowed Scholarship will benefit underrepresented, low-income, first-generation students interested in studying science.